Author Melissa Stephenson joins us this week. Melissa’s book is the memoir, Driven: A White-Knuckled Ride to Heartbreak and Back (Houghton Mifflin Harcourt, July 24, 2018). Writing on the Air is broadcast each Wednesday at 6pm Central from the KOOP Radio studios in Austin, Texas. 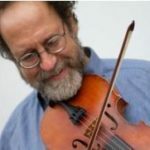 We’re heard on 91.7FM KOOP – Austin, KOOP.org, TuneIn.com and Radio Free America. Did you know we have over 150 podcast episodes? To listen, just browse the episodes here on our website & download the audios from each page. You’ll also find our podcast on the Podcast ap and iTunes. Recent episodes are available in our Radio Free America archive for 2 weeks after broadcast. For show updates, be sure and follow us on Facebook and Twitter. 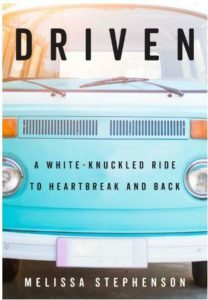 Melissa Stephenson is the author of Driven: A White-Knuckled Ride to Heartbreak and Back , her new memoir out with Houghton Mifflin Harcourt, July 24, 2018. Melissa Stephenson’s writing has appeared in publications such as The Rumpus, The Washington Post, Barrelhouse, Mutha, Blackbird, and Fourth Genre. She earned her B.A. in English from The University of Montana and her M.F.A. in Fiction from Texas State University. She lives in Missoula, Montana with her two kids. Driven is her first book. 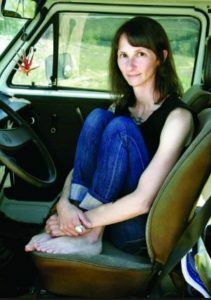 A searing memoir about one woman’s road to hope following the death of her troubled brother, told through the series of cars that accompanied her. Growing up in a blue-collar family in the Midwest, Melissa Stephenson longed for escape. Her wanderlust was an innate reaction to the powerful personalities around her, and came too from her desire to find a place in the world where her artistic ambitions wouldn’t be thwarted. She found in automobiles the promise of a future beyond Indiana state lines. From a lineage of secondhand family cars of the late ’60s, to the Honda that carried her from Montana to Texas as her new marriage disintegrated, to the ’70s Ford she drove away from her brother’s house after he took his life (leaving Melissa the truck, a dog, and a few mixed tapes), to the Volkswagen van she now uses to take her kids camping, she knows these cars better than she knows some of the people closest to her. Driven away from grief, and toward hope, Melissa reckons with what it means to lose a beloved sibling. For more information, please see the author’s website. You can also follow her on Twitter.